HMS Birmingham was laid down by Cammell Laird and Company, Limited, at Birkenhead on 28 March 1972, launched on 30 July 1973 by Lady Empson, wife of Sir Derek Empson and commissioned on 3 December 1976. She was named for the city of Birmingham, England. 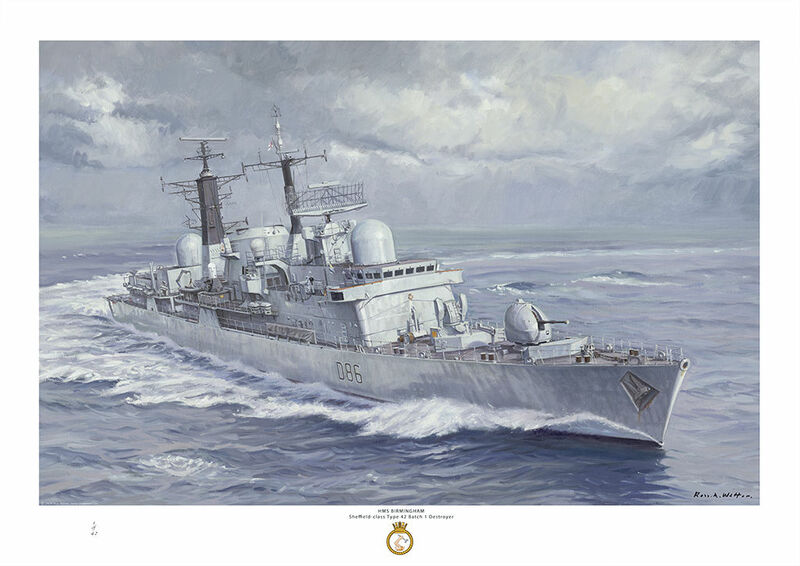 She was the last ship served on by the artist Ross Watton, in 1980.